Family law issues that involve your family can be incredibly personal and complex. In fact, finding solutions that meet your and your family’s needs requires a personalized approach. For example, solutions that put your best interests at the forefront of every decision made. In other words, you need an experienced Gilbert family law attorney to assist you with your: divorce, child support, child custody, and family law needs in Gilbert, Arizona. At My AZ Lawyers , a Gilbert, Arizona divorce and family law firm, we offer clients comprehensive representation with attentive service that exceeds expectations. In fact, our affordable lawyers are not just legal advisers, they are problem solvers. We are also invested in finding innovative solutions that work for families. Therefore, seek the assistance of an experienced Gilbert family law lawyer. As the outcome of your family court proceedings will often have a direct and profound impact on the rest of your life. Our low cost Gilbert family law and divorce attorneys know the importance of family law court proceedings and decisions. We are prepared to provide our clients with reliable, high-quality, family law assistance when it is needed most. In Gilbert and throughout Arizona, it is becoming more common that parents may be incapable of properly caring for their child, due to a drug addiction, mental illness, or a myriad of other reasons. Keep in mind, bad things happen even to the best of people, our Gilbert family law attorneys understand, contact our low cost attorneys in Gilbert, Arizona today. When a situation like the aforementioned arises, it is possible for grandparents to obtain visitation rights. This can also include custody, and even child support for an improperly cared for grandchild. With this in mind, contact an affordable Gilbert divorce attorney today for a free consultation. Our Gilbert Family Law Attorney and staff await your call. 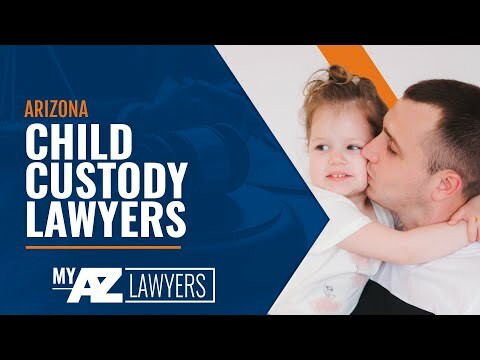 Our Arizona Family Law and divorce lawyers in Gilbert, AZ assist the grandparent in proving that they have been the psychological parent to the child and work to achieve court orders for custody. Grandparents may choose to seek the help of a Gilbert Family Law Lawyer if a spouse decides to divorce and the grandparents still want to have access to their grandchildren. Also, Grandparents may need to step in as custodians if one parent has entered the military, gone to jail, or died. Additionally, if one spouse dies and the grandparents still wish to be involved in the lives of their grandchildren, contacting a Gilbert Family Law Attorney may be a necessity. Plus, you may want to seek the assistance of our Gilbert Family Law Attorneys if as Grandparents you have played a crucial role in your grandchild’s life or have helped raise your grandchild only to have the parent take the child away or prevent you from seeing the child. Grandparents’ Rights Assistance may be necessary if a positive relationship between the grandparents and grandchildren has been severed or compromised. A view from Gilbert, Arizona.